The islands of Trinidad and Tobago feature a wide variety of fish to catch, including: redfish, grouper, carite, mullet, jack crevalle, sailfish, kingfish, pompano, Spanish mackerel, tuna and shark. The area is also world-famous for their tarpon. Trinidad and Tobago Fishing Charters are affordable group fishing packages that include the watercraft and all the gear needed. Alternatively, Trinidad and Tobago Fishing Guides are local-area fishing experts who can show you specific spots (such as the convergence of the rivers as they head out to the ocean) where you are sure to have the best chances of getting a bite. Really, in this Caribbean paradise, it doesn’t matter if you go with a full Trinidad and Tobago Fishing Charter for your bigger group or those of you that lack gear, or you choose a local Trinidad and Tobago Fishing Guide for a more personalized experience. You’re going to have a good time! Check with your Charter leader or Fishing Guide for the best times to go after specific species as they are seasonal-based here. 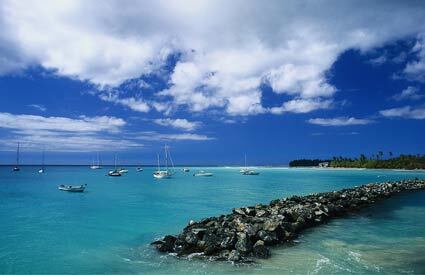 The Republic of Trinidad and Tobago is an archipelagic state in the southern Caribbean. The country covers an area 5,128 square kilometers and consists of two main islands, Trinidad and Tobago, and numerous smaller landforms. Trinidad and Tobago are known for its Carnival and is the birthplace of steelpan, calypso, soca, and limbo. The terrain of the islands is a mixture of mountains and plains.